Below are some of the articles and books I’ve read recently that you may enjoy checking out. “Britain is no longer a Christian country and should stop acting as if it is, says judge,” by John Bingham and Steven Swinford — While Christianity has been losing any significant footing in British culture for some time now, some are calling for its explicit and intentional removal. “America’s dividing line: Thoughts, prayers and belief in a transcendent God,” by John Inazu — The author argues in light of the tragedies from the last several weeks that “our culture is fractured not only politically, but also along the transcendence line: The line divides those who believe in a God who intervenes in the world and those who do not.” This is, indeed, a significant and deep dividing line! 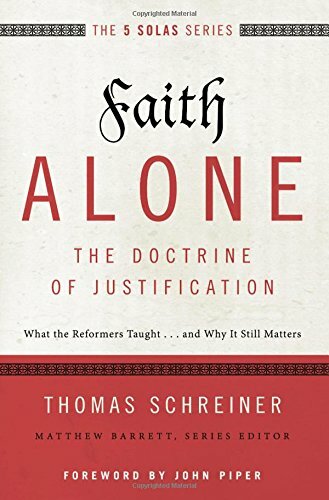 “Yes, Justification Still Matters” — Tony Lane reviews Tom Schreiner’s new book on the doctrine of justification by faith alone. Check it out, and then grab a copy of the book to read! “King Hezekiah’s seal discovered in Jerusalem,” by Will Heilpern — An important discovery that attests to the reliability of the biblical witness!